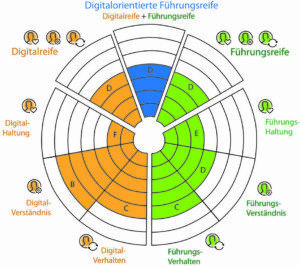 The Institute for Leadership Culture in the Digital Age (IFIDZ) in Frankfurt/Main researches the effects digital change has on business leadership culture at personnel and organisational levels. It also examines how challenges resulting from this development can be mastered by the businesses and their leaders and which structures and competences are needed in order to do so. The IFIDZ passes its knowledge of these discoveries on to the business world by publishing studies and holding conferences, seminars and lectures. Thus the institute contributes to businesses being prepared to face future challenges on the market and being able to actively benefit from the prospects which result from market developments. To determine which competences business leaders have and which they still need to acquire, the IFIDZ has developed its own analysis tool and method, the Alpha Intelligence Leadership Competence Test Method (AILT). This is based on the results of the study “Alpha Intelligence – What tomorrow’s leaders need.”, which the IFIDZ carried out and published with the F.A.Z.- Institute in 2015. Using the AILT test method, businesses can plan their leadership development measures to conform with their goals, demands and personnel. The IFIDZ cooperates with the Free University of Berlin, the HAW Hamburg (DMI faculty), the RWTH Aachen University, The F.A.Z.-Institute and the Bavarian wholesale and foreign trade association (LGAD). The institute applies an interdisciplinary, practical and applicable work approach, combining the latest discoveries from various scientific disciplines, such as business management and psychology. This results in the corresponding specialised expertise and practical experience of the IFIDZ team and expert network. Its members work comprehensively in various management and HR areas. 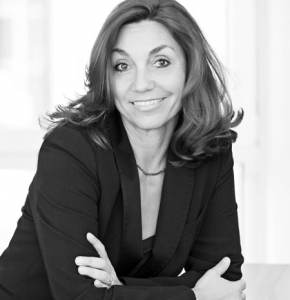 Barbara Liebermeister is the founder and managing director of the IFIDZ. She influenced the concept of alpha intelligence which combines the skills of successful executives, both now and in the future. The background and basis is her experience and consultancy in leadership. "Digitalisation – why should you care?" Countless factors are changing rapidly as a consequence of the digital age, and nowhere more so than in business. This has led to many leaders feeling unsettled, since our networked world has confronted them with a variety of completely new and unforeseen challenges and questions. Meta-Study: At the end of 2016 the IFIDZ published a Meta-Study ont the topic Leadership in the digital age.